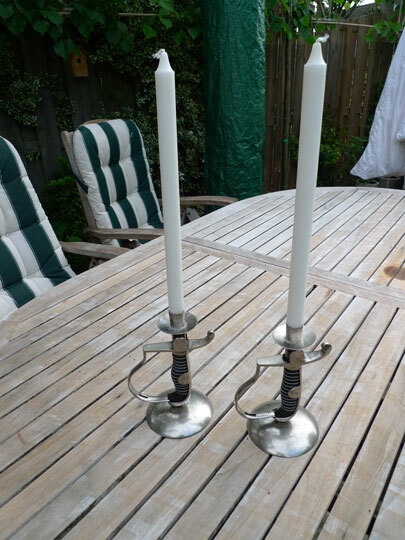 A pair of two candle stick holders made from German artillery officers dress swords, Pre- WWI. Rather unique pair made from two chrome plated German Artillery officer's dress swords in an excellent condition. These were used during pre-war luxery military dinnerparty's. Seldom found items in a suberp condition!